Alana and Brian tied the knot at the West Chase Golf Course in Brownsburg, Indiana. 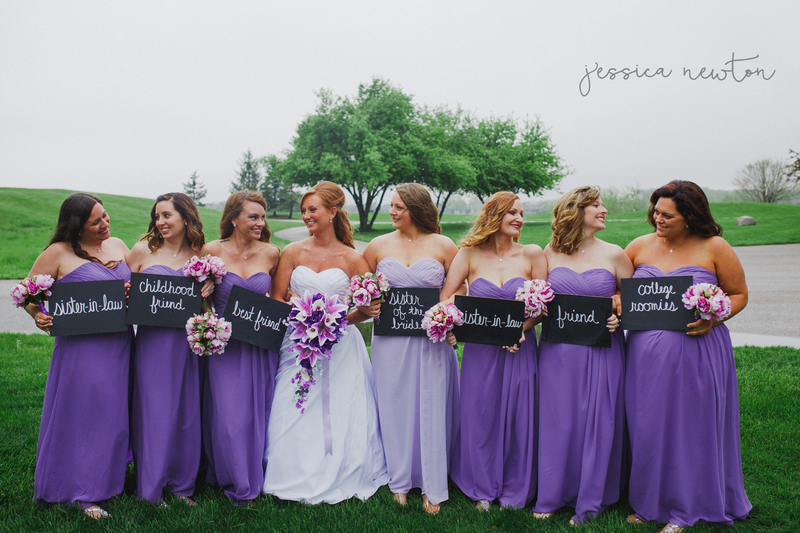 Their big day featured purple, mint, and silver as the main colors for a magical wedding. 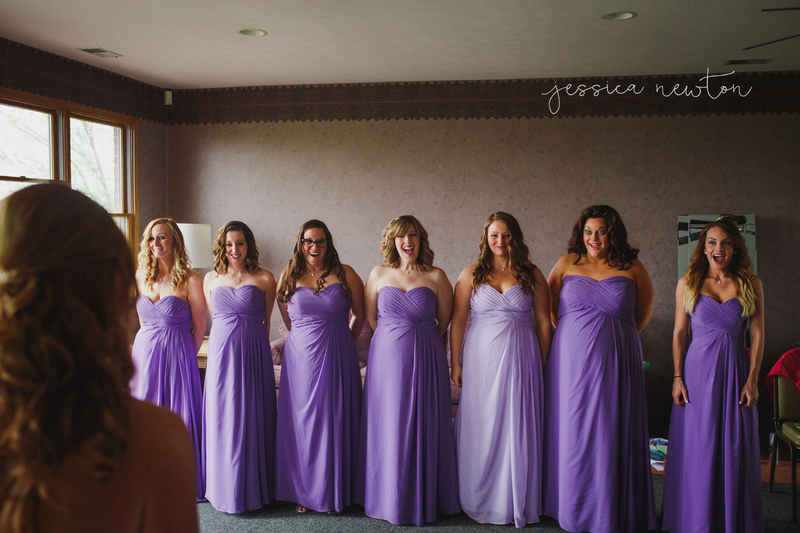 All her bridesmaids were rocking the Arabella – the perfect choice as three of her bridesmaids ended up being pregnant during her wedding! All photos taken by Jessica Newton Photography. Q: Why did you pick this specific venue? Q: Is there a story behind this color theme and why you chose it? Q: Best part of your big day? Q: Any tips for someone getting married soon? Q: How was the planning process for you?